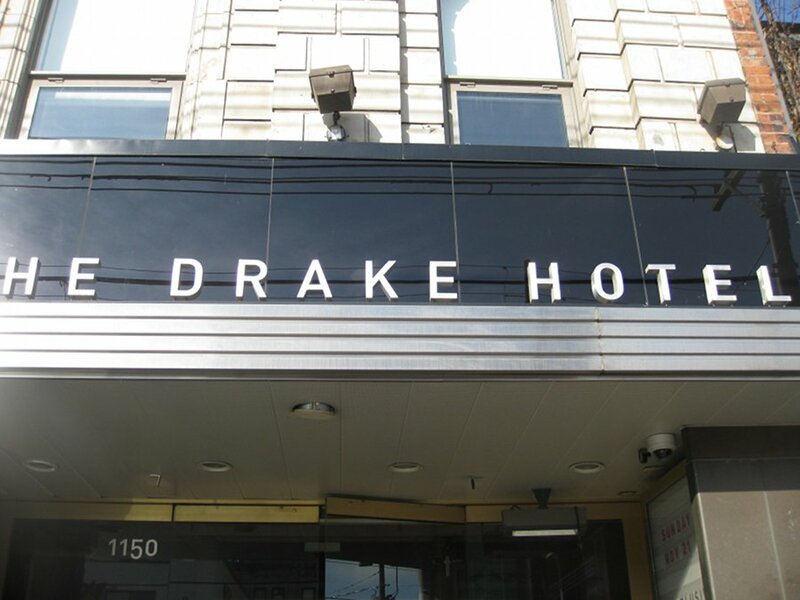 The Drake is a boutique hotel with a retro look to it but with a large bar and dining area. 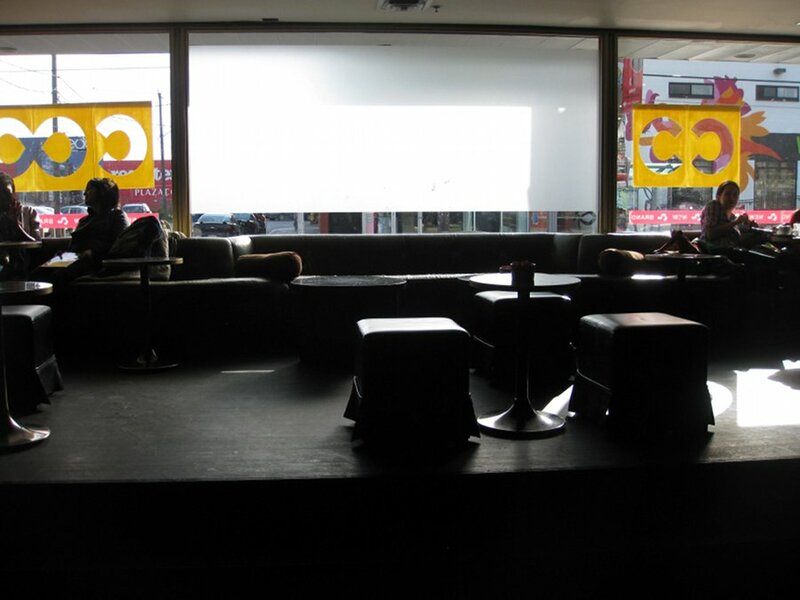 They have this funky look and style to it with a very large bar, high tables and large windows which make the first half of the place get soaked up in sunlight. Yet, the back is still dark for those who are recovering from the night before and need measure doses of light. 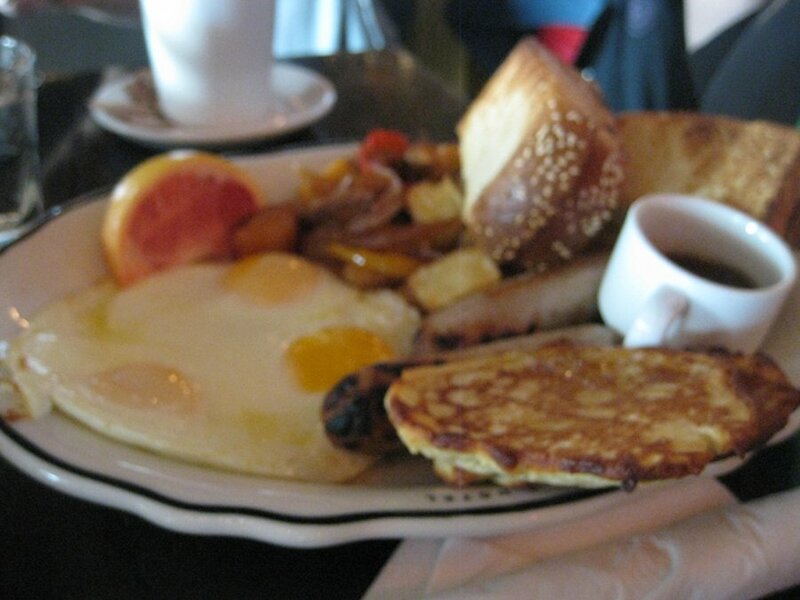 We were a large group so we were able to sample some interesting options from the brunch menu. 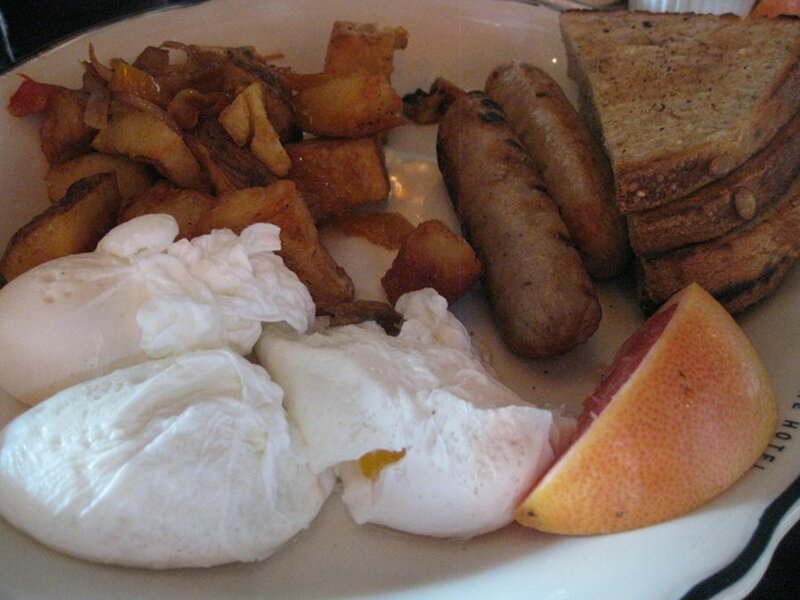 One friend had the Drake breakfast ($9.75) which was three eggs, sausage, fries and toast. This dish is pretty straight forward; the eggs were poached in this order; the potatoes were good; price was decent and I liked that it was three eggs and not two so you were sure to be satisfied and not hungry. The price seems rather fair considering the third egg, however, coffee was not included and cost $2.50. I should also note that an espresso costs $2.25 which is actually cheaper and quite rare. The coffee was good and refills were free but it did kick up the average price of this dish. The Eggs Caleb ($14.50) is my personal favourite. 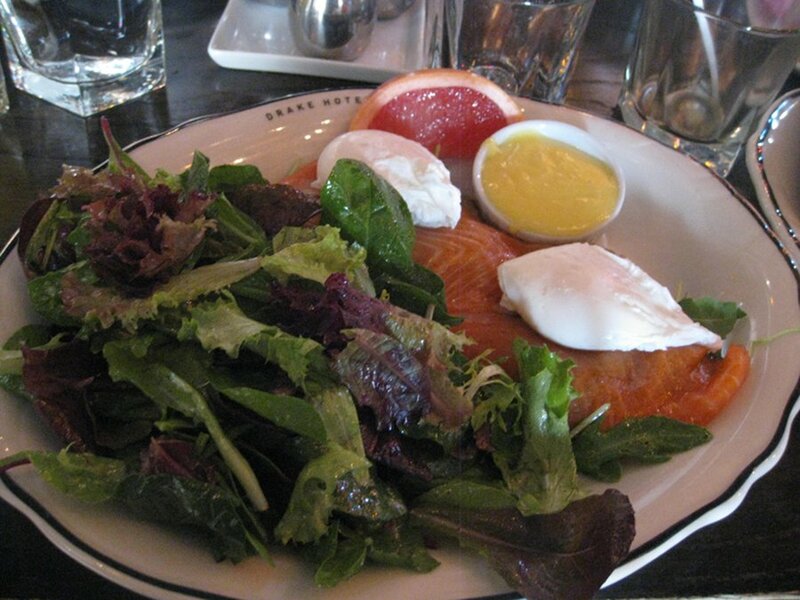 This dish had two poached eggs and smoked salmon. The smoked salmon tasted amazing and this dish really delivered with taste and the presentation was nice as well. The hollandaise sauce was not overpowering and this was a real crowd pleaser. My one issue is that this dish is almost $15 before you even factor in the coffee which can be a touch much for smoked salmon eggs Benedict. Although, if you look at the picture you can see you do get a lot of smoked salmon. I guess ultimately the call is yours to make, if you’re a smoked salmon fan (like me) you will love this. The scrambled Burrito was a nice addition to the menu as it had some interesting and welcoming ingredients like: cheddar, potato, avocado, sour cream and salsa. 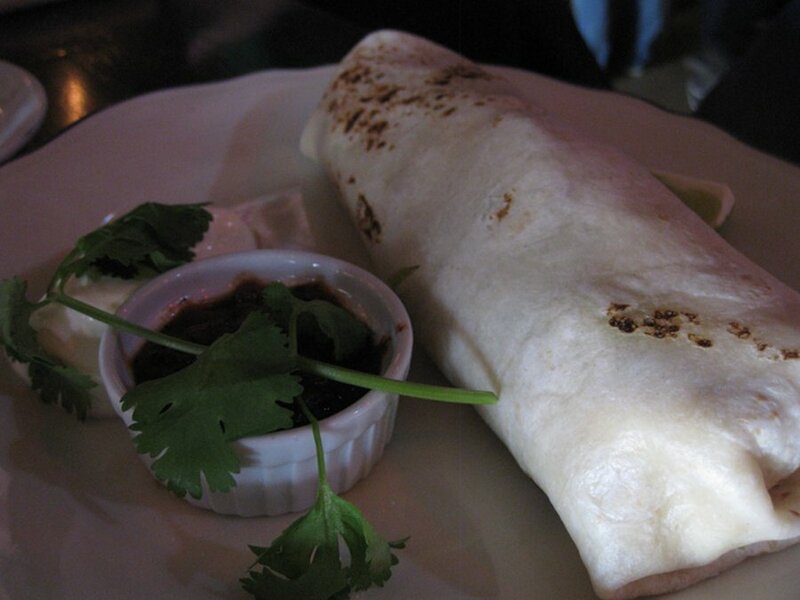 The burrito was very tasty and fresh and of a decent size to make most appetites satisfied. Although, it did not come with any sides which would have been nice to see. 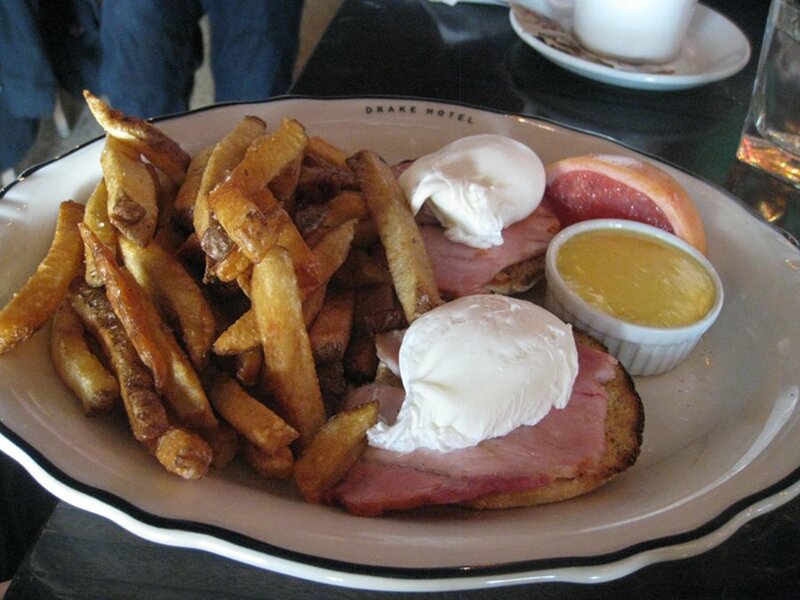 My friend had the Eggs benedict ($12.50) which was good but not as good as the Eggs Caleb. The ham was a decently generous cut and the fries on the side were nice. The price is average for the dish but I would have liked to see more fruit on the side as opposed to a grapefruit wedge. The lumberjack ($12.50), justly Canadian, which is the drake breakfast and some buttermilk pancakes on the side was another hit. For less than $3 more you take a filling dish and make it even more filling. I did not have a chance to sample this dish but it is quite filling and the price is fair considering you will have a guarantee to not be hungry after this. 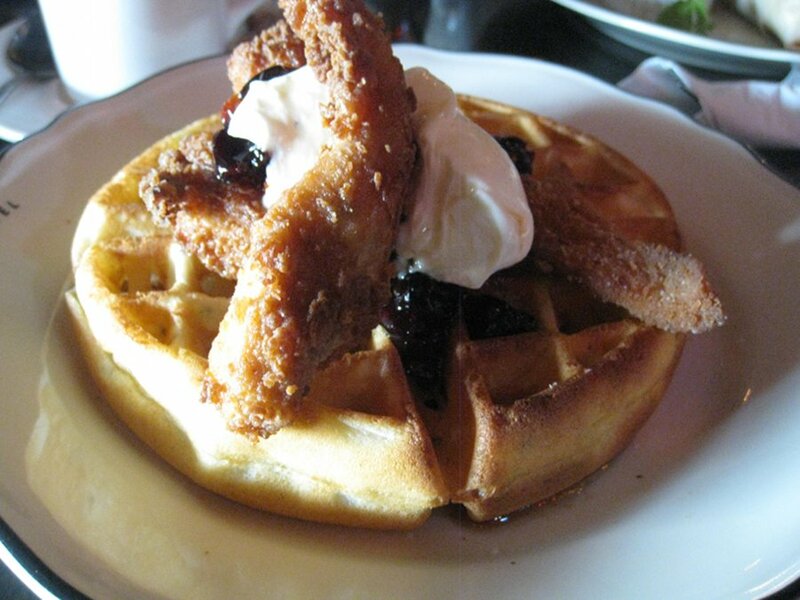 Lastly, my dish came which was Southern Fried Chicken and Waffles ($14.50). Now, you may ask how this qualifies as brunch and while it is more lunch than brunch, I knew there wouldn’t be much of another chance to try this, and technically it has waffles in it so I considered it a safe choice. This dish also comes with cream and cranberries. The waffles are nice and soft with just the right amount of crispyness and the fried chicken was not as fried as I was expecting which is good since my arteries were closing just thinking about this. Given a choice I would probably go with another dish, not that I didn’t like it but ordering this dish was purely for the novelty of it and not as much for the culinary experience. I guess if you are a fan of both waffles and chicken then now you know where you can get both on the same plate. Our waiter started off slow: he was missing some place setting, forgetting some items and water refills. In the end, things go better but nothing exceptional. If you are strict vegetarian then you only have a few options like the burrito, pancakes and custard pie. If you are vegan, this is not the spot for you. 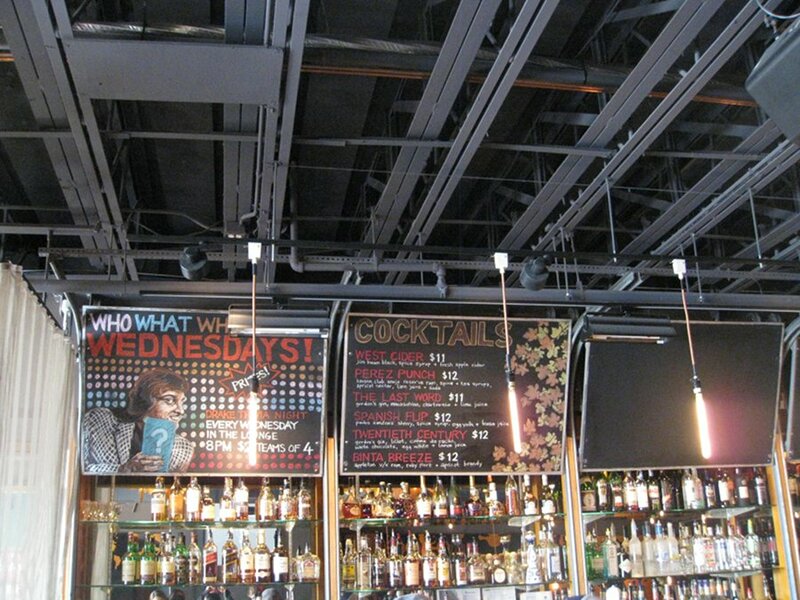 The Drake hotel was fun as it had some creative options and I enjoyed my dish. The eggs Caleb quickly became one of my favourites and I suggest to try it out. On a more critical note, the prices fluctuate with some items being well priced and others being a dollar or two too high.